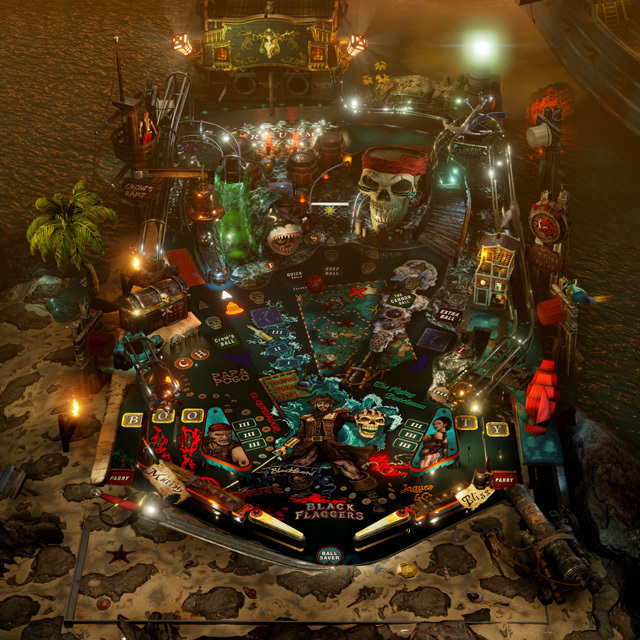 One of the world’s most advanced virtual pinball simulations featuring original table #1: Black Flaggers – a pirate’s journey of plundering loot, swashbuckling adventures and cannon wielding foes. 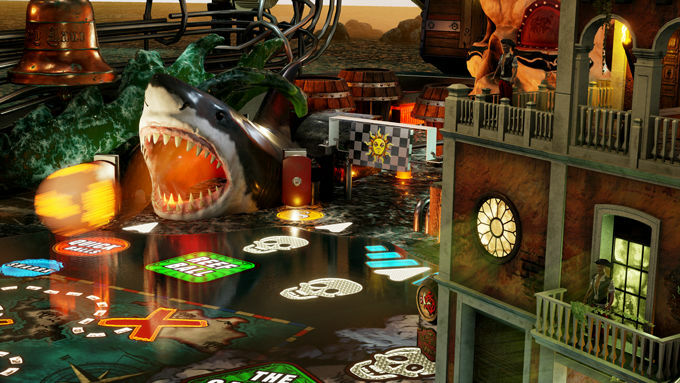 Wicked pinball mechanics on a cutting edge engine: the high fidelity pinball experience. 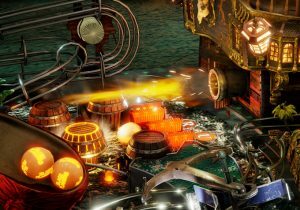 The game is inspired by the pinball classics we enjoyed over the last decades and the advanced lighting effects seen in the fantastic modern pinballs over the last years. We have set out to create a pinball simulation that is true to its roots, yet enriched by an environment not limited by mechanical representations. Balls, Flippers, Kickers, Lights and Lamps, Scoops, Diverters, Targets, Rollovers, Posts, Pegs and Pins, Ramps and Habitrails, Bumpers and Spinners, Gates and Doors, Magnets and Coils, Captive Balls and Captivating Toys – supported by a retro styled dot matrix display, a versatile light sequencer sounds, voiceovers and music. 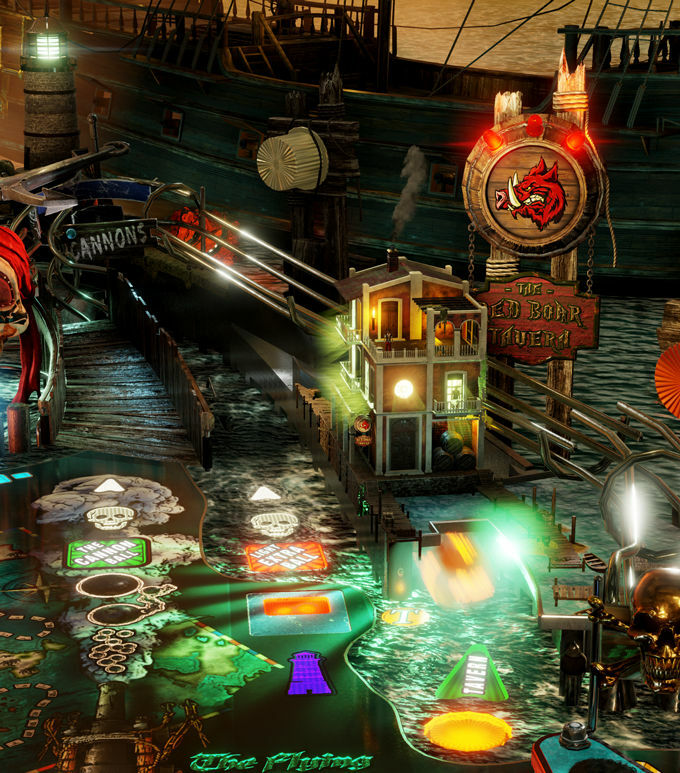 Pinball Wicked’s first original pinball table Black Flaggers invites you on a pirate’s journey of plundering loot, swashbuckling adventures and cannon wielding foes. 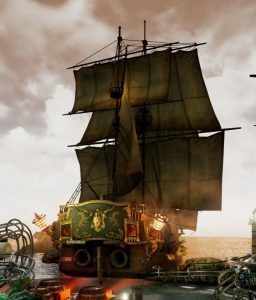 The playfield, toys, characters and environment create a lush and vibrant pirate world brimming with life and adventure. As a Black Flagger you are thrust into the treasure hunting life of a dare-and-be-damned blade o’ fortune. You set out to make a name for yourself, a name only to be whispered with a trembling voice, a name which will be remembered as the bane of the seven seas through the ages yet to come. But being born into the golden age of pirates just isn’t the blessing it ought to be: your swashbuckling and throat cutting, raiding and looting, and all your grit and bravado just isn’t enough to shine as a bloody beacon. One misty morning, the huge red disc of the sun staring deep into your eyes, in the wake of a drunken stupor a burning epiphany arrives: Show the world who’s the captain by battling the damnedest pirates of ‘em all. Stay tuned for upcoming feature announcements during Early Access! © 2014-2018 Formslingers UG (haftungsbeschränkt). All Rights Reserved. All trademarks and copyrights are the property of their respective holders. Unreal, Unreal Engine, the circle-U logo and the Powered by Unreal Engine logo are trademarks or registered trademarks of Epic Games, Inc. in the United States and elsewhere.